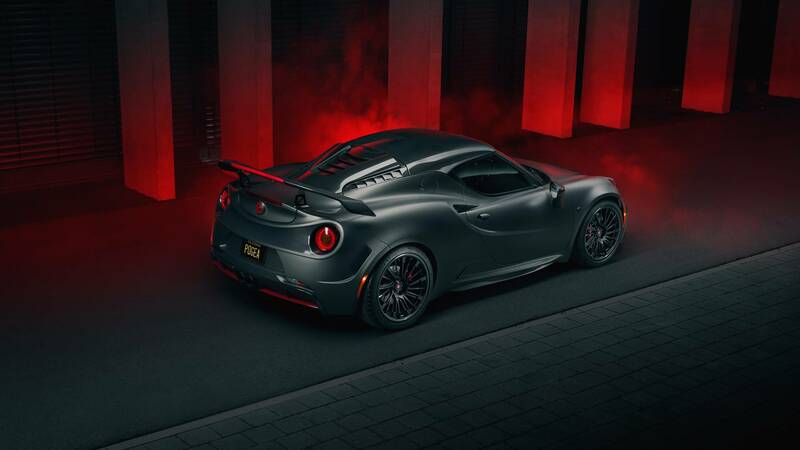 Remeber the Alfa Romeo 4C? That cute little sports car with a potent and equally little four-pot? Sure it ‘only’ produced 276bhp, but thanks to an anorexic attitude to weight saving, the 4C was no slouch. Those 276 turbocharged horses had to shift less than a tonne. In short, the last thing it needed was more power. Well here’s its psychotic older brother with – you guessed it – more power. 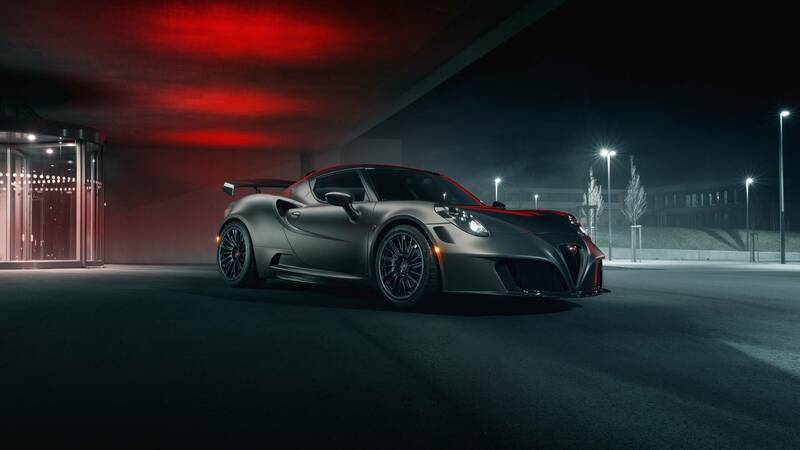 This is the Alfa Romeo 4C Nemesis. 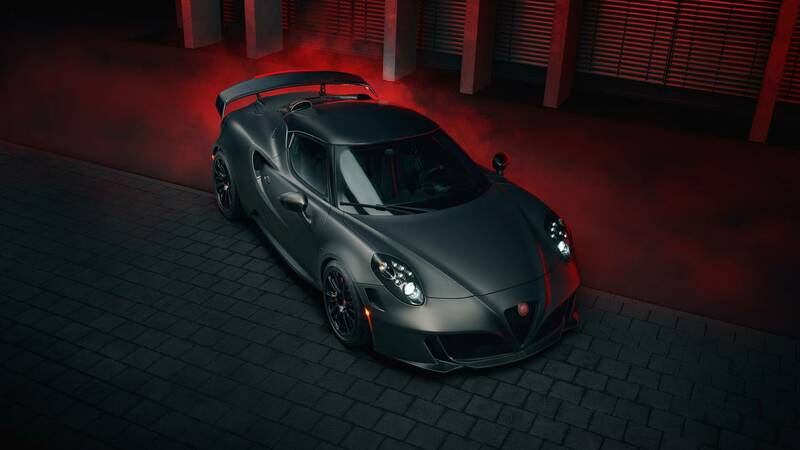 It’s developed by German tuning company Pogea Racing and I won’t sugarcoat it – power is up to 470bhp. Displacement has gone from 1.75 to 1.95 litres. Amongst other things, the Nemesis receives a new cylinder head, a more powerful turbo and despite forged internals, you have to figure, pooer reliability as well. But who cares when the 0-62mph time has fallen to 3.6 seconds and top speed has risen to 191mph? 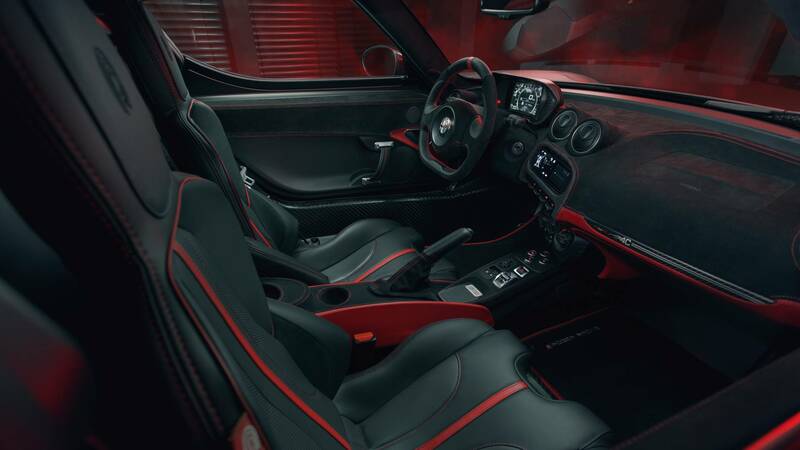 The 4C’s nearly square dimensions also made for frighteningly odd handling characteristics; the 4C is the definition of the cliche ‘corners on rails’. 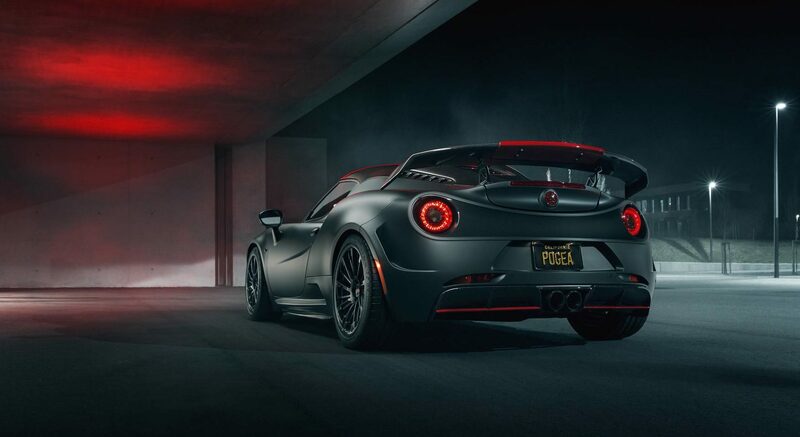 Nevertheless, Pogea Racing has decided to festoon their take on the 4C with carbon fibre aerodynamic improvements most notably of which, is the enormous rear wing and front splitter. Functionality aside, they look brilliantly obnoxious. No word on from Pogea Racing on pricing for this mini monster, but we can tell you they will only be making five and one is already taken.